Bubble tea is a unique drink that combines different flavours and textures together that are usually outside of the typical Western palate. 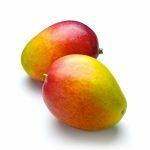 Often, you’ll find flavours like taro root or durian as flavours, but more tropical flavours like mango, peach, or passion fruit are popular as well! 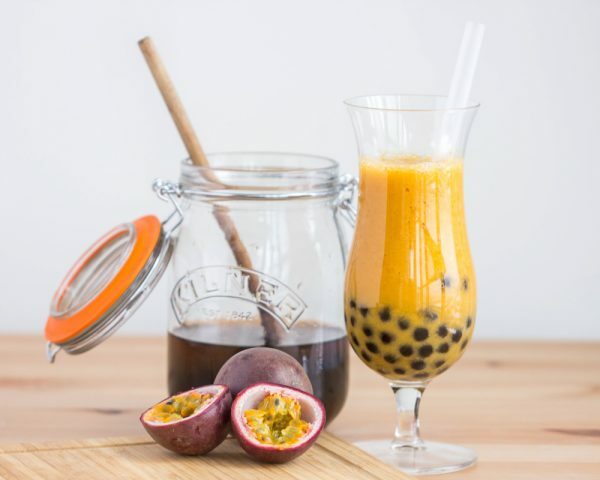 This passion fruit mango bubble tea uses the bright and cheery flavour of passion fruit to spike black tea. To make it slushy, use ice, frozen passion fruit juice, or frozen mango to add body to the slush. 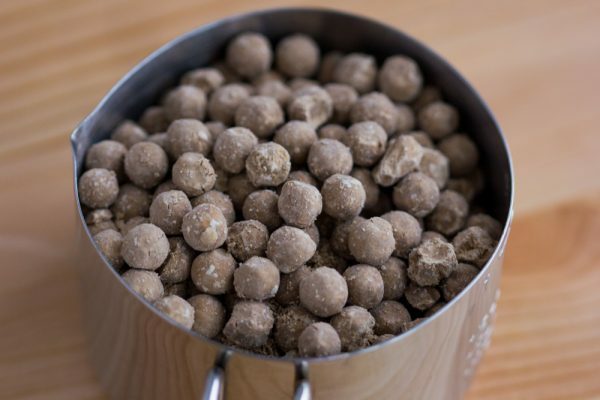 Tapioca pearls might not be the most common item at the grocery store, but at most specialty Asian groceries, you’ll find dried tapioca pearls that are either white or brown as pictured above. Once cooked and set in some simple syrup, these boba are tender and chewy treats to accompany some passion fruit mango black tea. 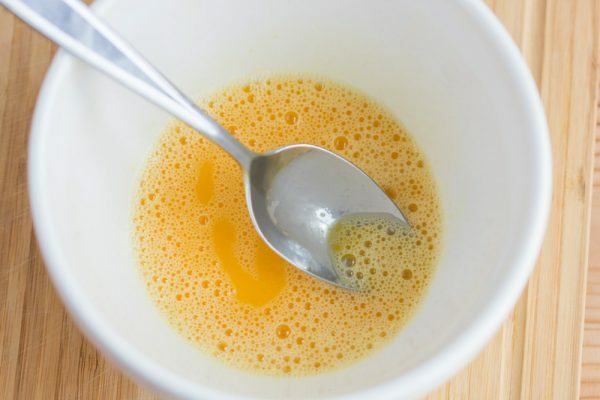 You can either blend and then strain the passion fruit pulp, or for a more low key approach, simply use a spoon and a sieve to strain the juice. 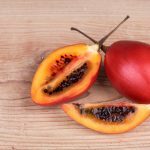 Play around with the ratio of juice, if you want a stronger passion fruit flavour, feel free to add a couple more to the mix. 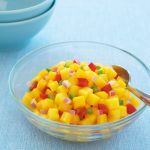 Using frozen juice increases the flavour even more, combine it with a complementary tropical fruit. Serve your special someone this Passionfruit Mango bubble tea while you sip and enjoy watching a movie, playing some board games, or simply just hanging out. 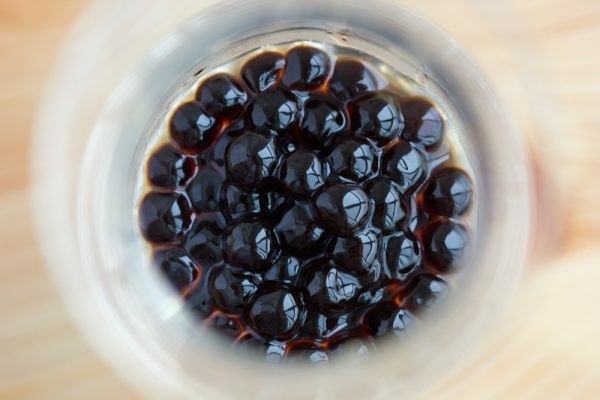 To make the boba, start off by making a simple syrup with 1/4 cup sugar and 1/2 cup water. Heat until sugar is completely dissolved. Transfer to a jar. Rinse out the pot and boil 5 cups of water. Once at a rolling boil, add tapioca pearls. Cook on high heat for twenty minutes, stirring once every 10 minutes. Lower to a simmer and cook until it reaches your desired texture (it should be soft and chewy), about another 5-10 minutes, again stirring every 10 minutes. Remove from heat and let sit in the water for 30 minutes. Drain and rinse with cold water. Add to the jar with simple syrup and let sit to soak up the sugars while you make the passionfruit tea. Half the passionfruits and strain pulp over a mesh sieve to get the juice. 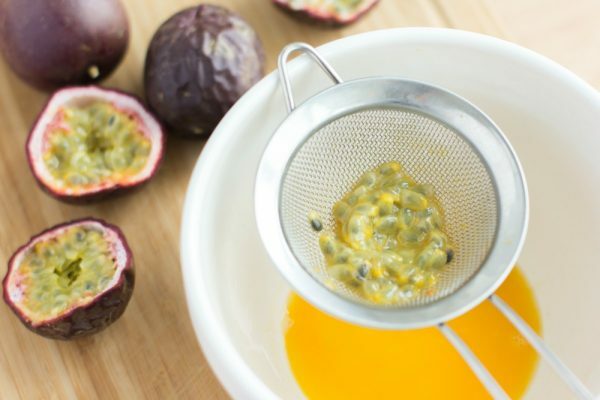 You’ll get about 1/4 to 1/3 cup of juice depending on how juicy your passionfruit is. 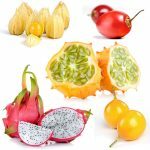 If you don’t mind eating the pips (they have a similar texture to a raspberry seed), then you can simply blend the entire pulp together and add that to your bubble tea. If you don’t want to make a simple syrup, just add 3 tbsp sugar to your black tea once you brew it so it’ll dissolve in the hot tea. Otherwise use maple syrup, simple syrup, or simply any liquid sweetener of your choice. 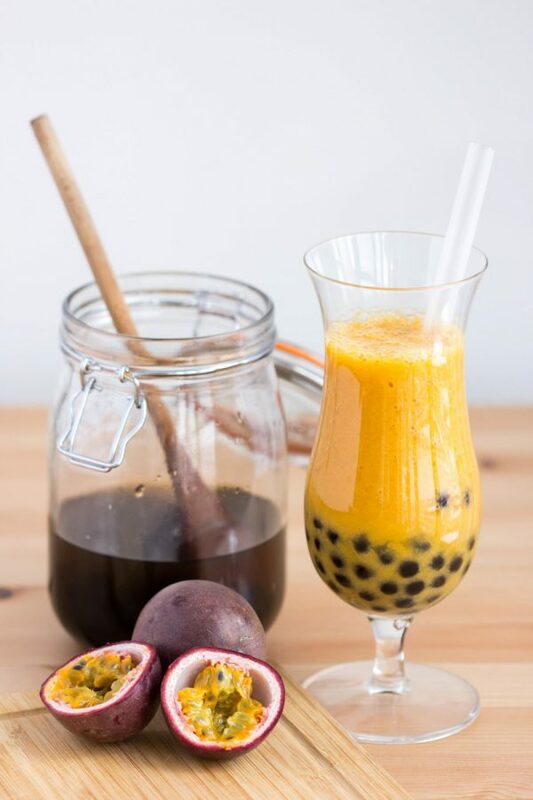 In a blender, add your passionfruit juice/pulp, sweetened black tea, and frozen component. 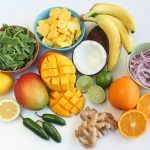 You can choose to use ice, frozen passionfruit juice (freeze into ice cube trays), or 1 cup frozen mango. Frozen passionfruit juice would probably be best, but frozen mango adds another tropical flavour to the mix. Blend on high until you get a slushy. To serve, add 1/4 cup cooked boba with some simple syrup from the jar to a glass. Pour passionfruit tea slushy on top and serve immediately. Enjoy! 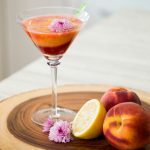 This recipe was developed by Lisa Le, the Toronto-based vegan food blogger behind The Viet Vegan. She blogs about food with stories about Vietnamese culture, nerdism, feminism, and her life sprinkled in on top. 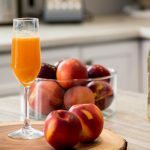 What Goes Well With Mango?